Values Holistic concern for ethics, environment and society. CRISIL has awarded “A***” B-school grading. Core programs General, Banking & Financial Services, Healthcare, Human Resources. 50 Scholarships worth Rs.2.5 crore for meritorious students. 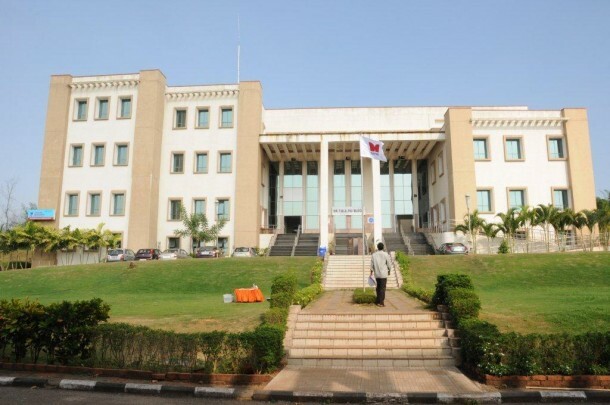 TAPMI Manipal Consistently ranked in the top-20 B-Schools. International Double Crown Accreditation with AACSB and AMBA reflecting quality. CISCO enabled State-of-Art Infrastructure established in a 42 acre campus. Emphasis on Experiential learning via BrandScan, SMIC, SEVA, Samnidhy and Omega. Strong Alumni base of 5000+ Alumni with more than 1/5th currently leading at CXO levels. TA PAI Management Institute Manipal Finance Lab – Largest Finance Lab powered by 16 Bloomberg and 7 Reuters terminals. Personalized attention for capability assessment and development through FAS, CAS and LADC in TAPMI Manipal. 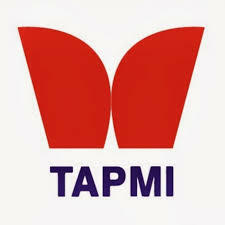 TAPMI Manipal Fees is Same for All Courses. Previous academic performance + Entrance Exam Score + Statement of Purpose + Written Ability Test (WAT) + Group Discussion + Personal Interview. d. Degree Certificate issued by the University or Provisional Degree Certificate issued by the college. e. Entrance Exam score card. f. Six latest passport size colour photographs apart from the one which is pasted on the Application Form. 9 in Faculty, Publication, Research, Consultancy, MDP & Other Programmes (Government & Private). 7 in Placement (Domestic & International), USP, Social Responsibility, Networking & Industry Interface (Government & Private). 1 among Private B-Schools in Karnataka.